What's behind the best runline bets in baseball? Due to the commonality of close one-run games in Major League Baseball, most bettors prefer to bet the standard moneyline odds – simply picking who will win the game and paying a certain price to pick that team. However, for those looking to stretch their dollar, there are the runlines – MLB’s version of the pointspread. Runlines can be a bit deceiving to anyone new to the baseball betting markets. Most runline spread are 1.5 runs, with the favorite set at -1.5 and the underdog at +1.5 – meaning the favorite must win by two or more runs to cover, and the dog must lose by less than two runs or win the game outright in order to cash in. But here’s where it can get tricky. The favorite – the team set at -1.5 runs will often times come with a plus-money price tag or juice, meaning it will pay out at EVEN money or better if that team can cover the runline. Underdogs – the teams getting that 1.5-run buffer – are often minus-money meaning you’ve got to wager more to win less. In short, runlines favorites are priced like underdogs, and runline dogs are priced like faves. The Brewers are one of the big surprises in the first two months of the schedule. Milwaukee heads into the weekend atop the National League Central, boosted by a solid pitching staff and an offense doing just enough to stay within those 1.5 runs. For the first half of the schedule, the Brew Crew were set as runline pups most nights – meaning lower returns due to the high-priced vig – but as the markets caught on to Milwaukee’s success those runlines are now asking the Brewers to lay 1.5 runs, and they’re still coming through, but at plus-money payouts. A big part of Milwaukee’s runline returns is its success in tight games, posting a 15-5 record in one-run games so far in 2018. And with the club hitting the road for an eight-game road trip, bettors should see value with Milwaukee’s runline juice at least until mid-June. Life in the America League East isn’t easy, even when bookies are giving you a 1.5-run cushion most nights. The Rays have made the most of those runline odds, turning out nearly eight units of profit. Tampa Bay is doing much better than expected in the AL East, hovering above .500 and sitting ahead of both Toronto and Baltimore. Tampa Bay really isn’t great at anything specific – ranked 19th in runs allowed and 14th in team ERA at 3.99 – but that margin of victory is covering the 1.5 runs, with the club going 17-10 ATS versus AL East foes. 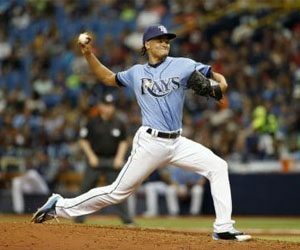 The Rays are actually 9-12 in one-run games and they play 12 of their next 19 games away from St. Pete’s, boasting a 16-15 ATS mark as a visitor. There’s too slim a margin of error with this club and those runline results could backfire over the next month. The Nationals aren’t underdogs much, but when they are the Nats sure do make the most of it. Washington has been a runline pup eight times so far this season, and have covered that +1.5 in seven of those games. And that’s been about it for the Nationals runline return. The team is actually 22-24 ATS in all other runline matchups as a favorite, going 7-10 in one-run games and posting a 19-9 ATS mark on the road. The way that looks, bettors may want to exclusively play Washington’s runline only as the road team or as an underdog. Fortunately, the Nationals play nine of their next 14 away from the nation’s capital with stops in Atlanta and an interleague set with the Yankees in the Bronx. Those series should open the window for value on Washington to cover the runline odds.